The Waterfront is back on the Venice Beach boardwalk. 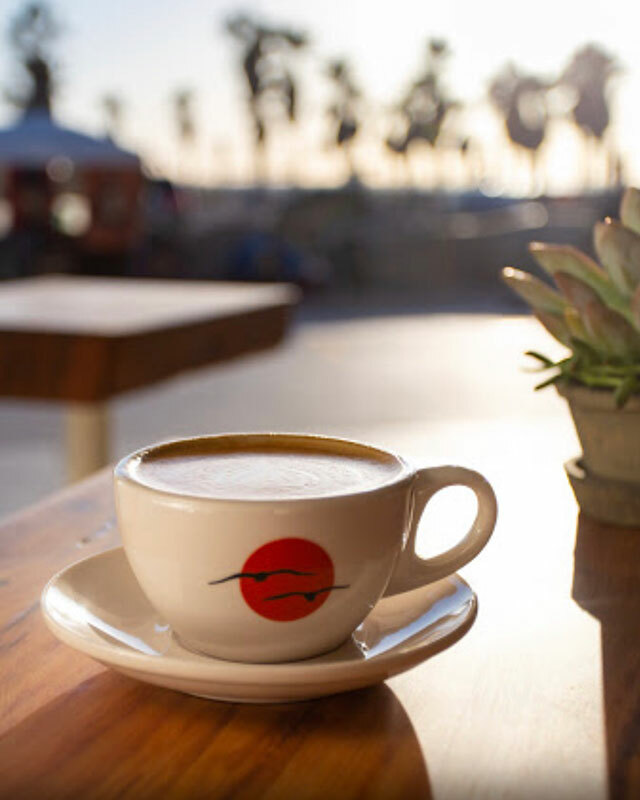 This past fall, the Venice Beach boardwalk welcomed the newly renovated mainstay, The Waterfront. 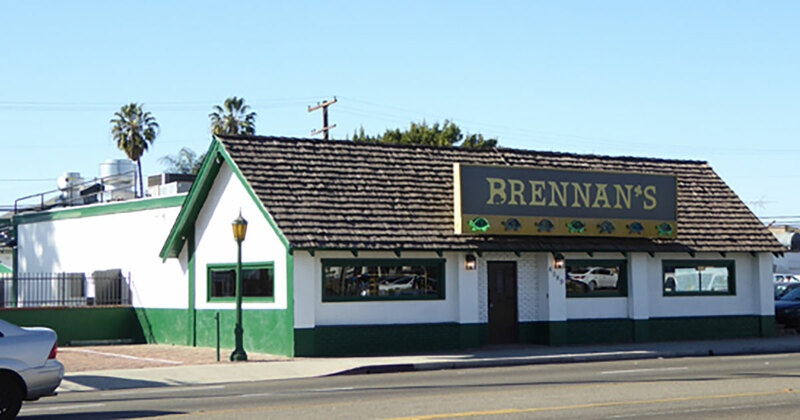 When the 23-year old restaurant closed late last year, local developer Jake Mathews and his partnership team acquired the space with plans to revive the historic café and create a neighborhood beacon for the vibrant Venice community. 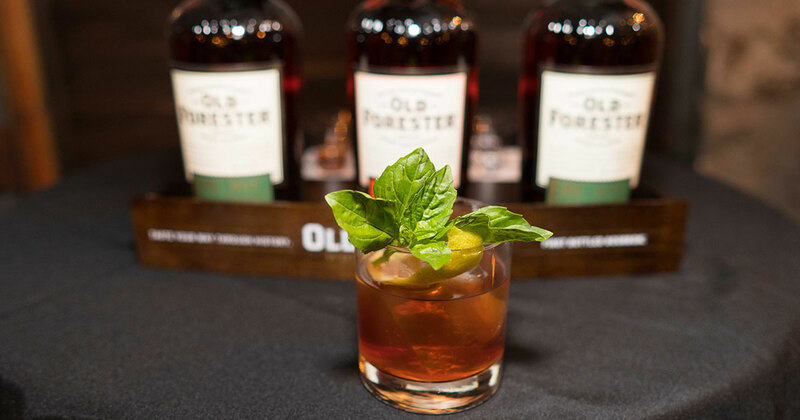 The partnership is a tight-knit group of friends and collaborators, including Mathew’s wife Heather Tierney, Mathew’s 9Mile Investments partners Jon Bloomberg and Michael Baker, as well as Operating Partner and General Manager Dave Harper and his wife Sabrina Harper, both of Bondi Harvest and Bower Hospitality. Creative Director Sean Tully and Brand Ambassador Omer Levy are also key members of the team who have been brought on to enhance community initiatives and surf culture through design and partnerships. While there are several distinct concepts within The Waterfront space, Executive Chef Adele Sun’s food reflects the restaurant’s beachside location, serving casual fare made with high-quality ingredients. 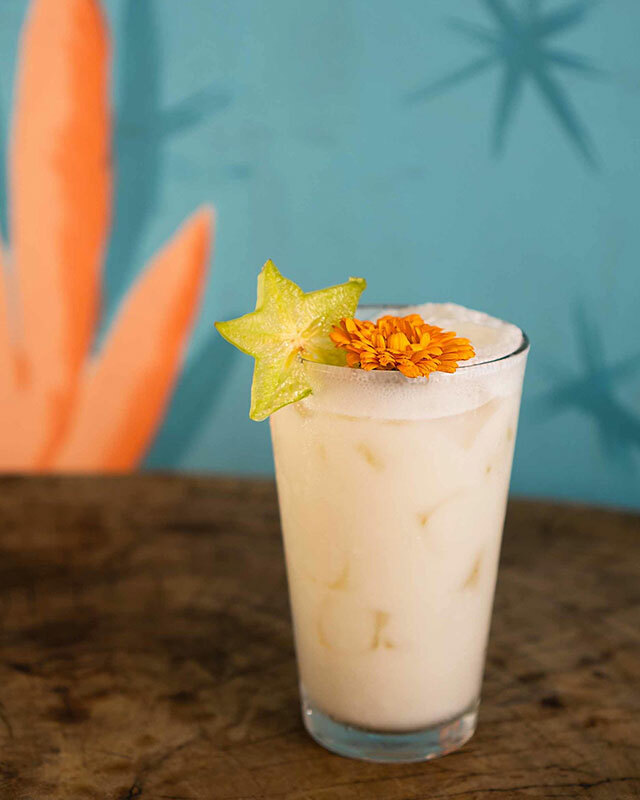 Alongside a full-service restaurant with outdoor patio dining, the new space also offers an oceanfront beer garden, relaxed lounge area, to-go shack and taqueria called Boardwalk Tacos. Former favorites of the original On The Waterfront Café are honored on the new menu, such as the soft pretzel and Erdinger Weissbräu beer, alongside an elevated mix of organic products and quality ingredients. Both the to-go shack and full-service restaurant are farm-to-table oriented and Boardwalk Tacos features an all-day selection of tacos in warm, homemade tortillas. Brunch (including bottomless mimosas) is served on the weekend to complement the all-day menu, offering an idyllic launch point for a day at the beach with friends. 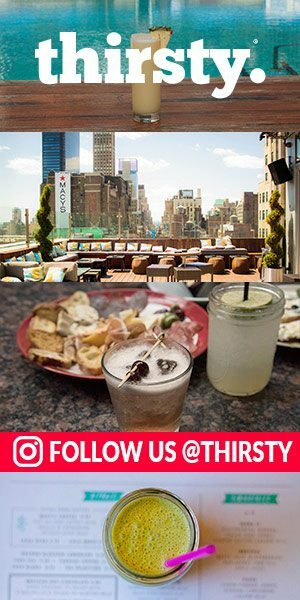 The beverage program is a refreshing counterpart to the elevated food and dining options available, further enhancing the quintessential sunny California experience The Waterfront offers. Serving up the coldest beer in Venice, The Waterfront features a selection on draft, as well as canned California classics, unique craft beers and a Waterfront staple from Erdinger Weissbräu. 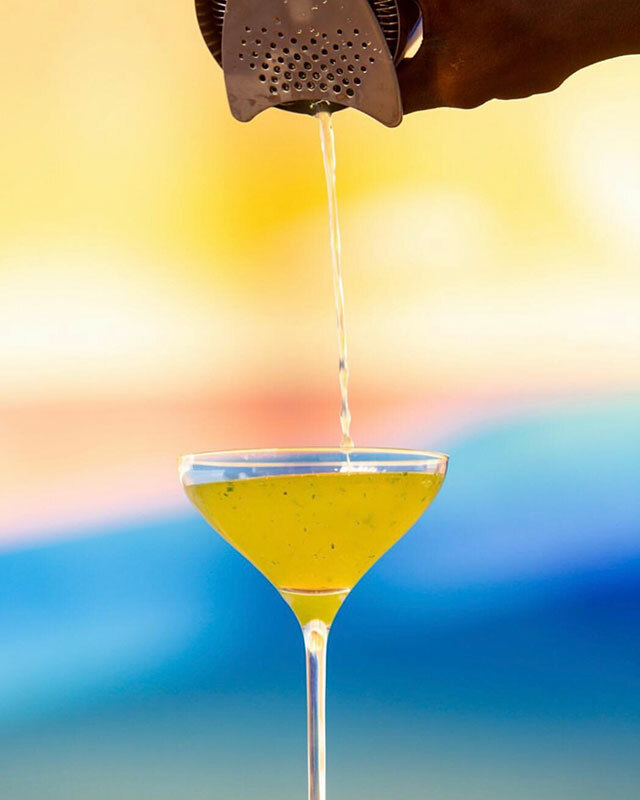 The wine list is simple, sophisticated and complemented by a selection of delicious cocktails, many of which are named after legendary surfers, paying homage to the Venice Beach surf culture. The Waterfront also introduces cult surf classic beer, Bintang of Indonesia, to the U.S. The Waterfront tapped Sean Tully, founder of the Innocnts Gallery and Art Advisory, to curate a selection of emerging artists who produced a series of expansive murals throughout the restaurant. The space is perfectly suited to showcase the artists’ work, with natural stone elements, whitewashed wood, lush greenery and a variety of surf and skate details inherent in the Venice culture. The art serves as an important backdrop to the multifaceted space, creating a dynamic atmosphere and gallery experience unlike anything else in Venice Beach. 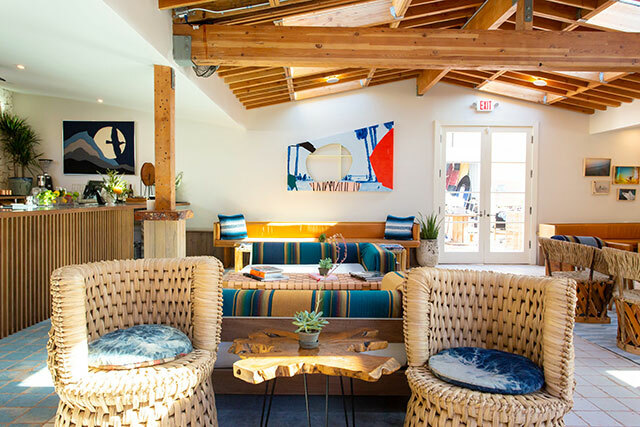 Los Angeles-based artist Maxwell McMaster takes inspiration from his California home, using color, shape, and texture to amplify the real-life ocean views from The Waterfront beer garden with a beach mural that is abstract and minimal in design but complex in appearance. 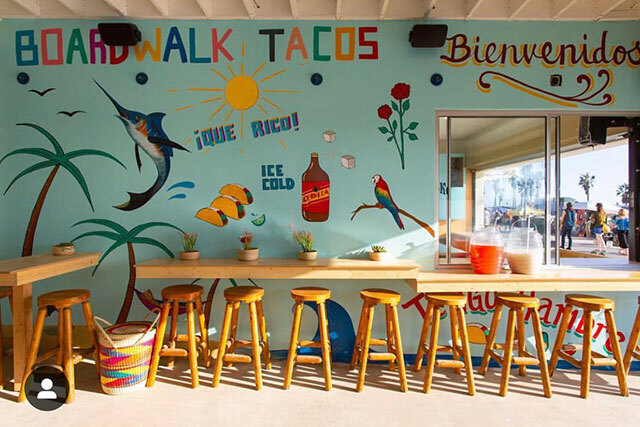 Artist Sofia Enriquez’s work in Boardwalk Tacos, The Waterfront’s Ensenada-inspired fast-casual taqueria, incorporates bold images and bright colors alongside Spanish and English expressions as a reflection of her heterogeneous identity. Additional artists include Dane Peterson, Marco Zamora and DJ Javier. “As the neighborhood continues to evolve, we aim to uphold the authentic and colorful aesthetic unique to Venice Beach by collaborating with local artists and talent wherever possible, from the weekly programming to the art program and overall design of the restaurant.”The Waterfront also serves as a community hub by offering a variety of programming in collaboration with renowned brands such as Airbnb Experiences and World Surf League. Premium denim brand Current/Elliott outfits the women’s uniforms and designed custom aprons for the servers. The Waterfront also has its own retail store featuring Waterfront branded products, in addition to a variety of coastal brands such as Free & Easy, DL Skateboards, Crap Eyewear and more.